Harry and Ron have to get to the troll before it finds Hermione. Click on the picture to go to the full-sized PDF! 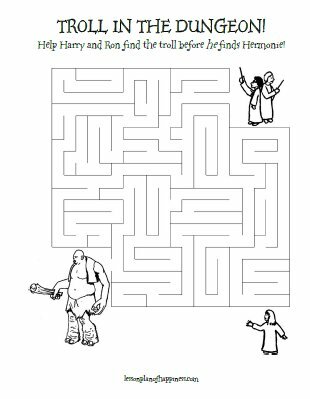 Hermione is spelled wrong on this maze worksheet! Oh man. Thanks for catching the typo!